The convenience and flexibility of two guns in one. Simply flip the switch to get the right temperature for any project. Removable 8? cord power-on light indicator. 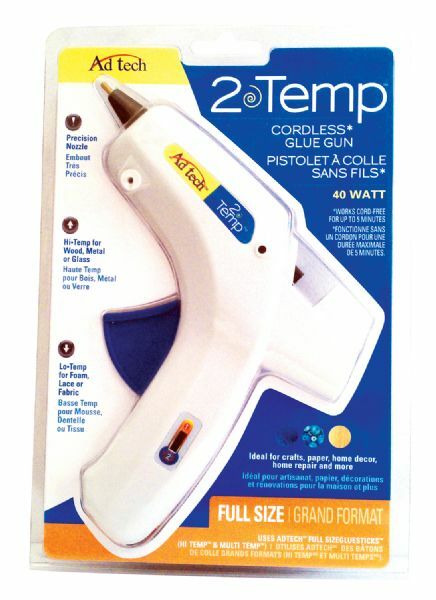 This 40-watt gun uses .44" diameter standard glue sticks.